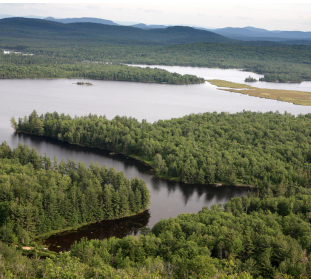 The hikes in the Long Lake and Raquette Lake area boast mountains rich with history and beautiful vistas. 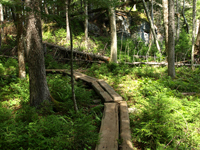 Backpacking is a sport and hikers traveling in and around Long Lake make it a stop on their trek on the 133 Northville – Lake Placid Trail. It’s a popular stop to do laundry, send a postcard and gain more supplies for the rest of the journey. 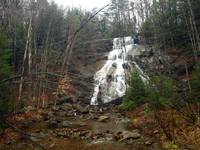 Explore the site of Noah John Rondeau’s hermitage in the wild Cold River Country or take an easy stroll to Buttermilk Falls. 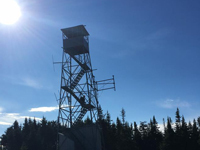 Owl’s Head Mountain in Long Lake or West Mountain in Raquette Lake offer more of a challenge and spectacular views. Biking is also a great way to see the Adirondacks. Check out our recreation map for biking info. If there is one thing the area is full of, it’s trails. From a simple walk around a pond to one of our 46’ers, you’re bound to find the trail perfect for you and your family. Below is a quick list of day hike suggestions. Great Camp Santanoni: Located in Newcomb (15 min drive) this almost entirely flat walk is also great for a bike ride. What’s more there’s a reward at the end. A beautiful, original Great Camp! 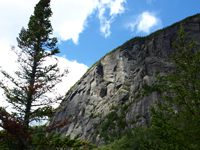 Owl’s Head Mountain: This hike is moderate with it’s most challenging bit at the peak. Bring a picnic lunch and dine looking over our Long Lake in all it’s glory. Spring month’s bring bug dope. 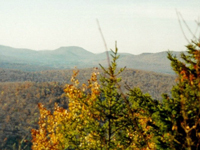 Coney Mountain: This hike is perfect for small children. The new trail was built in 2009. Access it from Route 30 North near the County line between Tupper Lake and Long Lake. Click on the link for map and information about this mountain. HIKING CAUTIONS…If you’re a fan of winter hiking, the Department of Environmental Conservation is warning people to be prepared for the continued rough conditions in the coming months. Ice crampons should be carried for use on icy mountains and other exposed areas. Officials advise that residents dress properly in layers of wool and fleece clothing, not cotton, with hats, gloves, boots and weather-resident outerwear. Day packs should include an ice axe, food and water, extra clothing, a map, first-aid kit, flashlight and space blankets. While out in the cold, outdoor adventurers should drink plenty of water as dehydration can lead to hypothermia. Before heading out, residents should check weather reports and monitor conditions at all times. Current trail conditions are available by contacting DEC at 897-1200. The network of trails in our area traverse the Forest Preserve deemed “forever wild” by the New York State constitution in 1894. 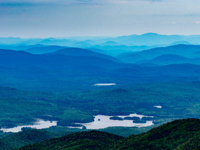 The Adirondack Park is a publicly protected area weaving a tapestry of both public and private lands. Please respect private property when hiking. Please note: The maps on this page are a “general” representation and description of the trails. 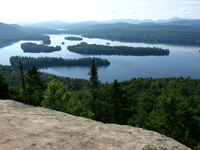 Please use a topo map and be prepared before hiking in the Adirondacks. 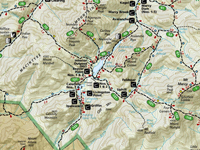 Scroll down to “Hiking Trips” to download a Long Lake trail map. 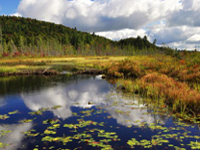 Long Lake and Raquette Lake are small towns surrounded by forest and diverse geography. The nearest hospital is 40 miles away, so keep that in mind when hiking. Many areas do not have cell phone coverage either. Long Lake now boasts AT&T Cell phone service, but be prepared before venturing into the forest. 1. 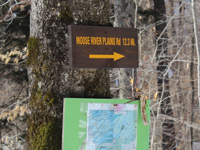 Always have a guidebook and plan to hike according to your ability. 2. Prepare for wet weather and oftentimes trails do cross wet areas and swamps. Follow trail-markers and established paths. 3. Wear layers and non-slip shoes and always carry bug dope. 4. Have a lightweight pack with first aid supplies, compass, trail map, tissues, water, penknife and flashlight. 6. Always tell someone where you are going and when to expect your return. Sign in at trail registers. Cell phones don’t always work in our area. 9. Always have snacks on hand, gorp is a favorite and if you are on a long backpacking adventure – please read the warnings about bear safety. Bear proof containers are essential, but bears are smart and oftentimes outwit the humans. 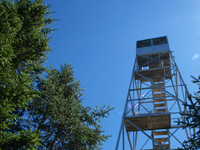 The Town of Long Lake produces an informational map with a list of hikes in the area. Call 518.624.3077 for your free guide, but please pick up an official topo map at an area store. 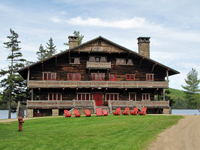 While Long Lake guides are useful to help plan your trip, they are not an accurate geographical representation of the Adirondack Back country. 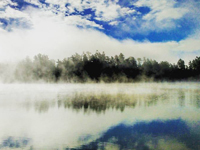 Hikes in the brief guide include: Frederica Mountain, Lake Lila. 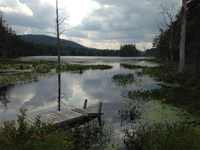 Lake Eaton, Owl’s Head, Northville-Lake Placid Trail, Blue Mountain, Buttermilk Falls, Sargent Pond Loop. 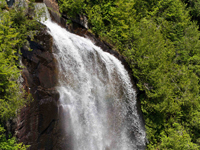 In the Raquette Lake area discover Death Brook Falls, South Inlet Falls, Sugar Bush Loop, Sagamore Lake and West Mountain. 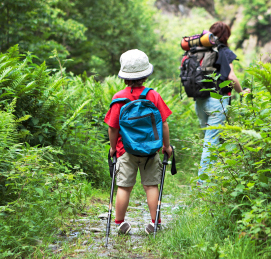 Kid friendly hikes include: Coney Mountain, Mt. Sabattis, Goodnow Mountain and Buttermilk, Ferds Bog, Cathedral Pines. All are great for picnics. Best local, low impact and fantastically surprising for wildlife, in the center of Long Lake? The best kept secret in Long Lake is the Jennings Park Nature Trail. Access by the Long Lake Town Ball Field. Great shortcut to the beach.